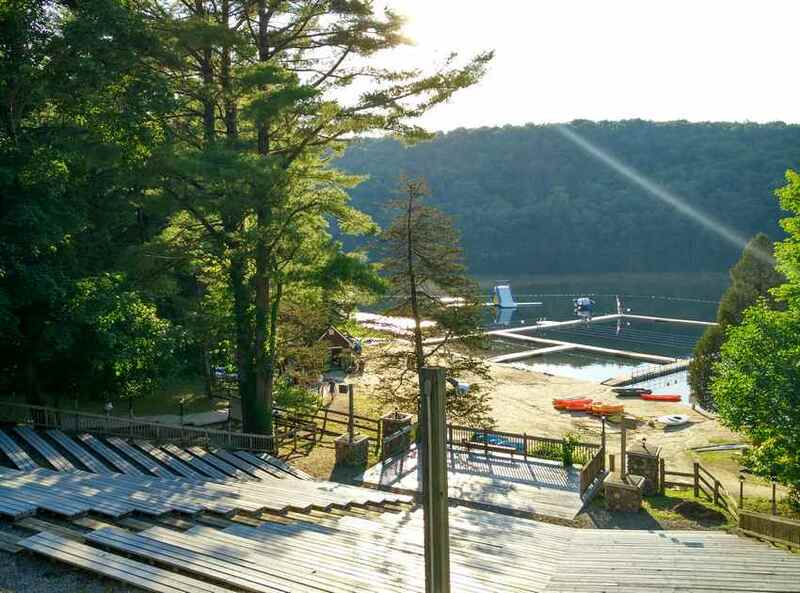 Since 2002, Kol Ramah 102.3 FM has been on the air at Camp Ramah in the Berkshires. Our award winning station includes a digitized library of popular and classic Israeli music and camp songs. With advanced digital audio recording and editing capabilities our campers and staff produce award winning podcasts and live broadcasts. The heart of our station is a 24 channel mixing board with multiple microphones, high-end broadcasting computer for playing music and jingles, and editing software for production. It also has professional CD players, which some campers still love to try out. Add to this a telephone hybrid for professional call-ins, capabilities for remote broadcasting, regular podcasts and you can be sure this translates into a lot of fun for everyone! As you walk through the different “neighborhoods” of camp, up on the B side main road near the agam and amphitheater and up on A side by Bet Degel Alef, one is greeted by campers’ live broadcasts and popular Israeli songs all day long. Of course, this summer we will continue what was very popular in the past, 24 hour streaming so that anyone, anywhere can tune in to the live broadcast of Radio Kol Ramah using this website and our mobile app for Android and Apple devices. For 2018, our 16th summer in camp, we are thrilled to have a native Hebrew speaker radio specialist with us in the studio. Shay Ron Mizrachi, A member of the 2018 Mishlachat Staff, lives in Ra’anana. Shay has been producing music for the last 5 years, and hopes to produce fun and interesting radio content with the campers. You will hear his voice throughout the summer. Jacob Varon is a veteran of radio at Camp Ramah in the Berkshires. His involvement in radio includes earning his FCC amateur radio license and his own call sign, KD2IYQ. Jacob was an ozer (CIT) in radio in 2015 and he is our American station manager for the second year. He will also assist as instructor and control operator of our FCC licensed amateur radio station N2SJ. Celebrating his 12 year anniversary here at camp is Yaniv Morozovsky. Yaniv is a professional broadcaster and educator; he founded and directed the educational radio program in Ramat Hasharon, Israel, and was formerly the director of Reshet Gimmel of the Israel Broadcasting Authority. Currently Yaniv is the editor of 103fm website in Israel, and a radio host on eco99fm. Yaniv created and administers this website, and helps with editing the music and jingles from Israel. Yaniv was Rosh Radio in 2006 and 2007 and has been working with us every year both on site and from his home in Modii’n, Israel. When you listen to our station on-line and hear our jingles, the professional level of broadcasting, the depth of our musical selections and many wonderful interesting podcasts we have Yaniv to thank. He has transformed this camp station from a curiosity that broadcasted a few hours a day to what is truly Camp Ramah in the Berkshires’ radio station. Yaniv’s professionalism, expertise and teaching excellence has been recognized by the Intercollegiate Broadcasting System (IBS) when he received a National Finalist 2016 award for Best Faculty Advisor. 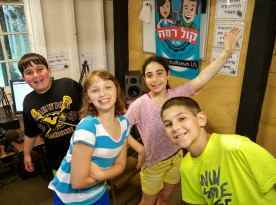 Radio Kol Ramah is the only summer camp radio station so honored by the IBS. 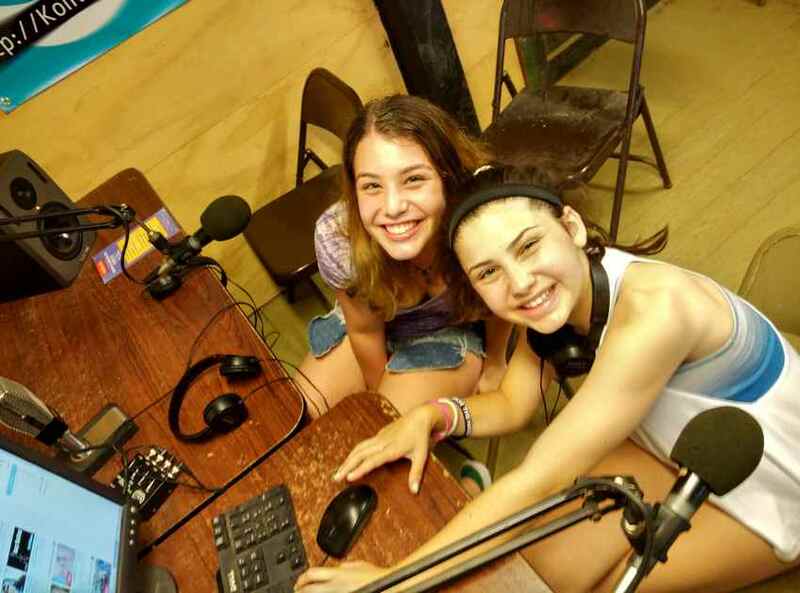 Radio Kol Ramah 102.3 FM is the radio Station of Camp Ramah in the Berkshires. So please join us; make Kol Ramah 102.3 FM a part of your summer! Tune-in to our 24 hour stream, and download our mobile app for your Android or iPhone, join us on the TuneIn app, like us on Facebook, subscribe to our rss feed on Soundcloud – listen to the campers’ live broadcasts, download our podcasts, all of which will be accessible through http://KolRamah.US. Radio Kol Ramah is brought to Camp Ramah in the Berkshires through the efforts of the Steve Jacobson Memorial Amateur Radio Association.